Henry VII…er…Henry of Windsor, and his badges…. I have queries about this. Was Henry VII really ‘always’ known as Henry of Windsor? And did he make Windsor his principal home? Further, was he best known for his badges of ‘the crowned portcullis’ and the ‘sun burst’? The portcullis, yes, possibly, but not the sun burst. Henry used the Tudor rose and the Welsh dragon, but I don’t recall seeing sun bursts all over the place in the same way. As for a sunburst depicting ‘winds’ and ‘or’ to represent Windsor. . .
I’m not arguing with the writer of A Complete Guide to Heraldry, just curious about these statements regarding Henry VII. Any opinions, folks? Richard III wasn’t the only dog to be given a bad name…. We all know how Richard III’s reputation has been besmirched over the centuries. He was turned into a monster because the likes of More and Shakespeare pandered to the Tudors’ need to justify their seizure of the throne. Thus he became a creature of misshapen body and mind, capable of putting his own child nephews to death, and disposing of righteous opponents who only stood up for the truth. Hmm, yes. Well, in this present day and age, people are becoming more enlightened about Richard, who has an army of supporters prepared to stand up and be counted on his behalf. King John is another monarch with a bad reputation, although in his case it is more deserved, I think. Yet something that first happened in his reign has come down in history as being the work of a 14th-century nobleman, John Holand, 1st Duke of Exeter, half-brother of King Richard II. What was this horrible crime? The instigation of the bloody sport of bull-running in the Lincolnshire town of Stamford. Bull-running was a St Brice’s Day (13th November) fixture in the town for centuries, although it has disappeared now, ending up as a colourful nod toward something akin to a carnival. Records state quite categorically, that it originated in the 12th century, in the time of King John. So how did King Richard II’s 14th-century half-brother get the blame? Simply because John Holand is another bogeyman. It is almost a tradition to point accusing fingers at him and denigrate him, à la Richard III. If there is a connection between John Holand and Stamford, it appears to be the burial of his parents at Greyfriars, i.e. Princess Joan of Kent and Sir Thomas Holand, 1st Earl of Kent. John Holand had his faults, and in his youth was a hothead, passionate and hasty, but that appears to have only applied to his youth. Later on he was a steadfast supporter of Richard II, and eventually lost his life in the first half of January 1400 (the actual date of his summary and illegal execution isn’t known) while rebelling in Richard’s favour against the Lancastrian usurper, King Henry IV. There are two murders in which his name is involved, that of a Carmelite friar who was tortured most cruelly because of a supposed plot against the king. The other, in 1385, occurred when Richard II’s army was moving north toward the Scottish border. One of John Holand’s favourite squires was murdered during a quarrel with men of Sir Ralph Stafford, son and heir of the Earl of Stafford. John Holand’s mercurial temper burst forth, and he took some men to ride to be avenged on Stafford’s men. On the way, in the dark, he came up against Stafford himself. What happened next is uncertain, except that the outcome was Stafford’s death at the end of John Holand’s sword. Some accounts say he simply killed Stafford without warning, others that there was an argument that got out of hand. Whatever the truth, John Holand fled into sanctuary at Beverley. He was eventually received back at court, and obliged to make abject apologies, etc. etc. But one sad result of the whole incident was said to have been the death of Joan of Kent, who could not withstand the state of affairs when one of her sons (Richard II) swore to severely punish another (John Holand, who was said to be Joan’s favourite, perhaps because he reminded her so of the husband she had loved so much – but that’s another story). So, these are the two bloodthirsty crimes that have come down through history to attach to his memory. I defend neither of them. He didn’t or couldn’t control his temper. Today he’d receive treatment for anger management. But, to his credit, he does seem to have overcome this flaw in his character, for I have found no further evidence of it. His other sins appear to be have been of an amorous nature. He is said to be the actual father of Richard of Conisburgh, from whom the House of York descended. And he seduced John of Gaunt’s daughter, Elizabeth of Lancaster, putting her in the family way, as the quaint expression goes. They were married hastily, and bundled off to Castile with John of Gaunt’s expedition to claim the crown of that land. John Holand was a fiery but devastatingly charming man who was said to have been charismatic, and I am prepared to believe this describes him well. He was also a famous and flambuoyant jouster, a regular rock star of the tournament circuit, who always put on a great display of skill and theatre. But as for introducing bull-running to Stamford. . . Well, it had been going on for a century or more before he came along, so it would be a miracle indeed if he had anything to do with it. Yet, he has been given the blame. So, like Richard III, he has been given a bad name. Yes, he was a sinner at one time, which Richard III never was, but even so, he’s being castigated for things he couldn’t have done. For further examples of John Holand being accused of starting the bull-running, go here, here and here. How strict was medieval royal court mourning at Christmas….? I know I have (more than once!) written of a strange string of coincidences connecting Richards II and III and their queens, both named Anne. Now I have come upon another question that puzzles me. It is well known that Richard II loved his Anne deeply, and was distraught when she died suddenly in the summer of 1394. He and his court were plunged into mourning, he had Sheen palace razed to the ground because he could not bear to go where he and she had been so happy, etc. etc. One way Richard chose to distract himself was an expedition to Ireland, where trouble was brewing for English rule. No English monarch had been there since King John (when he was still a prince). Richard II took a huge army over, and believed himself successful in reasserting English power, as witness the illustration below, of him received homage/knighting Irish kings. At Christmas 1394, barely six months after Anne’s death, historians tells us that Richard had a whale of a time with entertainments, revels and all the usual celebrations of the period. Now, does this sound like a monarch and court in full mourning for a beloved consort? No. Was Richard II, who was a very emotional man, able to set his grief aside and order revels, both for the season and the “victory” over the troublesome Irish kings? [It wasn’t to be long after Richard’s return to England that those kings started stirring again – well, I would have too!] Or have these junketings been overstated or even falsely reported? Whatever, it was Christmas, and we have a King Richard, sunk in grief for his Queen Anne. I now find myself wondering what might have happened if Bosworth had gone the other way, and Richard III were still king at Christmas 1485. He was another king in deep mourning, having lost his Anne in March that same year (and his son the year before). He too would have had something to celebrate – defeating Tudor, and enjoying the Christmas season. Even if negotiations were in full swing for his remarriage, would he have thrown mourning for Anne to the winds and had a lavish old time of it? Perhaps he would think his court and the realm at large was in need of a happy time at last, and so he would set his own feelings aside? Maybe that’s what Richard II had thought before him? The giving of New Year gifts at the court of the Duc du Berri. I’m genuinely curious about this business of kings in mourning, because Richard II made it clear he adored Anne of Bohemia, and as far as we are concerned, Richard III and Anne Neville loved each other too. Their shared agony on the sudden death of their only child, Edward of Middleham, suggests a great closeness, if nothing else. Maybe both marriages were first entered into for political reasons. Anne of Bohemia brought nothing to her marriage, except her family and connections; Anne Neville brought half the Warwick inheritance, which was nothing to sniff at. I believe that both marriages became love matches, and that whether the kings liked it or not, they were obliged to marry again as soon as possible. The betrothal of Isabella of Valois to Richard II. Just over a year following Christmas 1394, Richard II married the six-year-old Isabella of Valois, daughter of the King of France. One theory for this odd choice of bride—by a childless king who was beset by uncles and cousins hungry to succeed him—is that it was a way of staying faithful to Anne for longer. Such a very young second wife would not be expected to be available for consummation before she was, at the very least, twelve. It was still 1485 when Richard III’s envoys commenced negotiations for him to marry Joanna of Portugal, who is known to posterity as the Blessed Joanna, Princess of Portugal. She was eight months older than Richard, and in the end did not marry anyone. These 1485 negotiations were not only for Richard’s marriage, but for that of his eldest niece, Elizabeth of York, who was to marry Joanna’s cousin, who would become Manuel I. This sounds a workmanlike arrangement, made because, as I have said, a childless king had to marry again, quickly. At least Richard III’s chosen bride would be able to provide him with heirs, unlike little Isabella of France. And he was arranging a very good marriage for his illegitimate niece. So, just what was the protocol for this sort of thing? Did mourning mean just that, mourning? Nothing less. Or could it be dipped into and out of, as the situation dictated? BBC History Magazine’s history weekends this autumn…. Well, all this should be very interesting indeed…except for Hicks on Richard III, of course. Now, if it were to be Richard III on Hicks….yes, that would be worth the effort! “If your interest in royal history is piqued by the wedding of Prince Harry and Meghan Markle, make a date in your diary to come to BBC History Magazine’s two history weekends this autumn. Tickets have just gone on sale for the weekends in Winchester (5-7 October) and York (19-21 October), and they are already selling fast. “Each weekend will see more than 30 leading historians delivering talks on all manner of historical topics, and there is much to appeal to enthusiasts of Britain’s royal heritage. When ten royal tombs were opened…. This article about what was found in ten royal tombs is interesting because of the descriptions. Not that I would have liked to see Edward IV in his 3″ of goo…. Marlborough is a quaint little town in Wiltshire. It has a rather famous College (once attended by Kate Middleton) but no buildings dating much before Tudor times other than two heavily restored churches. However, it used to have a castle, and a rather important one too. The first castle was built by William the Conqueror in timber, and he raised it on Marlborough’s most famous landmark–a huge mound (sometimes called Merlin’s Mound) that stands in the middle of the college grounds. This mound is not the usual motte and bailey but in fact a neolithic mound that is a smaller ‘sister’ to nearby Silbury Hill, the largest artificial mound in Europe. Later the wooden castle was replaced by stone; it held out for King Stephen during the Anarchy. King John made many changes and repairs, having been presented the castle while his brother, Richard Lionheart, was king. His second wife the infamous Isabella of Angouleme spent some time there and some of his children may have been born within its walls. It was a strange arrangement–Isabella was under the care of Hugh de Neville, whose wife had been one of John’s many mistresses. After John died in the early 1200’s, political prisoner Eleanor of Brittany, whose claim to the throne equalled or surpassed that of Henry III, was kept there for a while before being shunted off to another stronghold. After Henry died, however, it became a Dower House, used by the Dowager Queen, Eleanor of Provence, and then was held by a series of Queen after her. By 1370, Marlborough was unused, and in ruins by 1403. Edward VI passed it to his relatives, the Seymours, who built a grand house that is now part of the College. All traces of the castle vanished, save for the mighty mound with had already stood for thousands of years before the Conqueror built his castle. However there is a rumour that one item from the castle survived–a huge ornate stone font which had come from the freestanding chapel of St Nicholas. Local legend says several of King John’s children were baptised in this font. And sure enough about a mile away, a massive stone font sits, seeming slightly out of place, in the tiny, remote church of St George at Preshute (an old name meaning Priest’s Hut.). It is an enormous block of polished black stone imported from Tournai, and would hardly be likely to have originally belonged to such a small, out of the way church. A few similar fonts of Tournai stone do exist in England, but they are in much grander buildings that St George’s–including Worcester Cathedral. All the Johns of St Stephen’s Chapel…. As a writer of medieval fiction, and therefore stuck with a preponderance of Johns, Edwards, Richards, Edmunds and so on, I’m only relieved not to have been asked to write a history of St Stephen’s Chapel. SO many Johns? Of the human variety, I hasten to add! This article: Where did all the Johns come from? – An Oddity in the History of St Stephen’s Chapel is both interesting and amusing. I have previously posted about my family history connections with Richard III here and I have since found out more interesting links. One such is William Marshall. Called by some the greatest ever knight, he is one of my direct ancestors and also the direct ancestor of Richard III. William had an eventful life. He was born in 1146 or 1147 and, as a young boy, he was used as a hostage by King Stephen when William’s father, who was supporting Matilda against Stephen, was besieged by the king in Newbury Castle. William’s father, John, when told that William would be hanged if he didn’t surrender, was reported to have said: “I still have the hammer and the anvil with which to forge still more and better sons!” The King made as if he was going to fire the young William at the castle from a pierrière (a type of trebuchet), but could not bring himself to harm the boy and he survived. Later, he was sent to Normandy to learn the business of becoming a knight, to be brought up in the household of William de Tancarville, a great magnate and cousin of young William’s mother. He was knighted on campaign in Normandy in 1166 and the next year was taken to his first tournament where he found his true calling. In 1168 he was injured in a skirmish and captured, but one of his captors aided him by smuggling clean bandages (for the wound in his thigh) to him inside a loaf of bread, which may have saved his life. He was ransomed by Eleanor of Aquitaine, remaining a member of her household for the next two years. A supporter of Young King Henry, son of Henry II, he travelled with him to Europe where they participated in knightly tournaments. From 1176 to 1182 both Marshall and the Young King gained prestige from winning tournaments. These were dangerous, often deadly, staged battles in which money and prizes could be won by capturing and ransoming opponents, their horses and armour. Marshall became a legendary champion in the lists: while on his deathbed, he claimed he had beaten five hundred knights during his tournament career. When the Young King died on 11th June 1183, he asked Marshall to fulfill the vow he (the Young King) had made the year before, to go on a crusade to the Holy Land, which William did, returning two years later and vowing to join the Knights Templar on his deathbed. He rejoined the court of Henry II and aided him when Henry’s son, Richard, rebelled against him. Marshall unhorsed Richard in a skirmish and killed his horse to demonstrate that he could have killed the man. He was said to have been the only one ever to have unhorsed Richard, later to become Richard I, the Lionheart. Richard nevertheless welcomed Marshall to his court, after he became king, knowing his legendary loyalty and military prowess would be useful to him. Richard fulfilled his father’s promise to Marshall of the hand in marriage and estates of Isabel de Clare and the marriage happened in August 1189, when William was 43 and Isabel just 17. He acquired great wealth and land from the marriage, including the castle of Pembroke, becoming one of the richest men in England. He also became the Earl of Pembroke eventually and the couple had five sons and five daughters. Marshall was part of the council of regency for Richard while the king was on crusade and later supported King John although there were many fallings out over the years. However, he remained loyal to him despite their differences and was one of the few English earls to remian loyal to John during the first Barons’ War. King John trusted him to ensure the succession of his son, Henry III, and it was Marshall who was responsible for the kings’ funeral and burial at Worcester Cathedral. He was named as protector of the young king Henry III, who was aged nine, and acted as regent for him. He was now about seventy but he still fought for the young king at the head of his army and defeated Prince Louis and the rebel barons at the Battle of Lincoln. When he realised his health was failing and he was dying in 1219, he called a meeting and appointed the Papal Legate, Pandulf Verraccio, as regent. In fulfillment of his vow, he was invested into the order of the Knights Templar on his deathbed and is buried in the Temple Church in London, where his tomb can still be seen. Through his daughter, Isabel, William is ancestor to both the Bruce and Stewart kings of Scotland. Through his granddaughter Maud de Braose, daughter of his daughter, Eve, William is ancestor to the last Plantagenet kings, Edward IV through Richard III, and all English monarchs from Henry VIII right up to the present day queen. Actually, William is also the ancestor of Richard et al through another, older, daughter, Maud. See the family trees below. 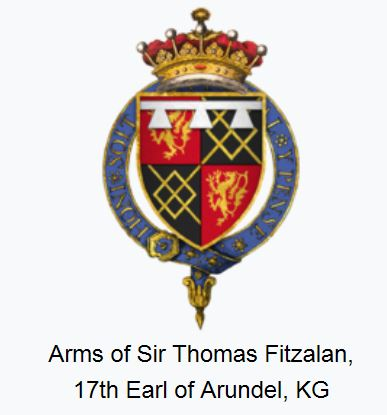 I have marked all the descendants of William Marshall with a green dot – you can see that Richard FitzAlan, the father of Lady Alice FitzAlan, was descended from Marshall on both sides. I wonder whether Richard inherited some of his heroic qualities from his illustrious ancestor – what do you think? And do you notice some other things they had in common? The Earl of Lincoln’s children and marriages. . . .? Am I alone in always having imagined that John de la Pole’s wife, Margaret Fitzalan, Countess of Lincoln, was a woman of childbearing age? Somehow I just took it as read, and thus that their apparent lack of heirs was a nasty trick of nature. 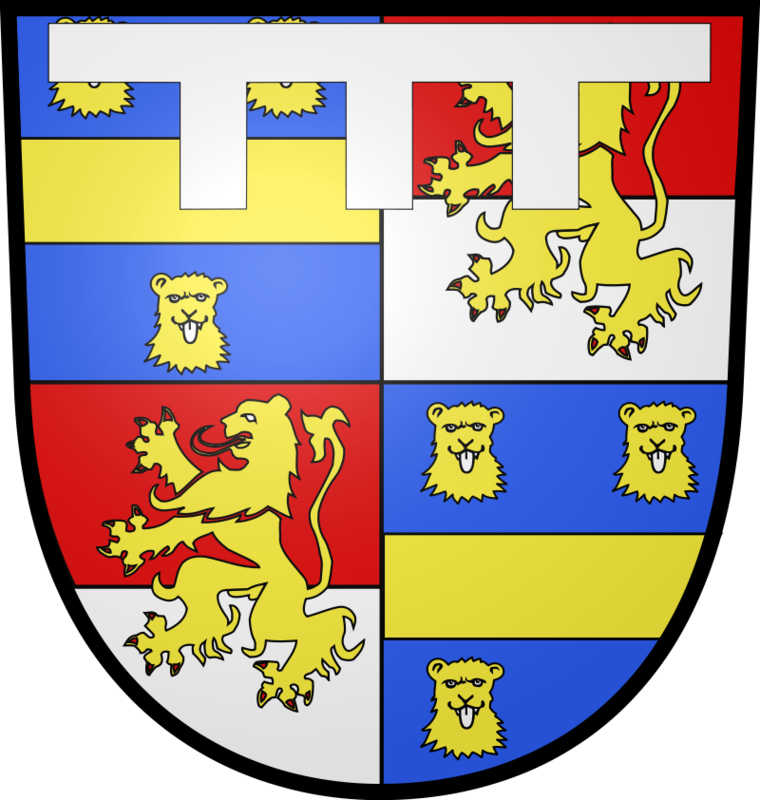 Chance caused me to check for more information about this daughter of Thomas Fitzalan, 12th/17th Earl of Arundel and his wife Margaret Woodville. Given Lincoln’s staunch support of Richard III, I can’t help wondering how he felt about his wife’s strong Woodville connection. Oh, he probably didn’t care. After all, the prolific Woodvilles had managed to marry into half the noble families in the realm. In fact, we don’t know anything at all about Lincoln’s attitude to his marriage or his wife. He is Sir Enigmatic de la Pole when it comes to that. Was Margaret’s ring something like this 13th century example? 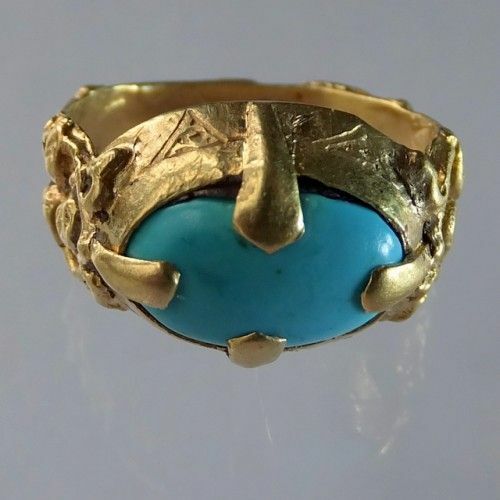 What we know of Margaret is that her father bequeathed her a ‘great ring with a turquoise’, and that she died in 1493, apparently never having remarried. (Horrox in ODNB states that Margaret lived until 1524.) We also know, or it seems generally accepted, that she was born in 1475. Now then, if this last point is true, then she was still only 10 at the time of Bosworth, and 12 when Lincoln was killed at Stoke Field. Suddenly the barrenness of the marriage takes on a different hue. There were no children because the bride was too young to consummate the match, and her husband died before she was the accepted age for such to take place. Now we come to the myths. Well, fake news, as the present saying goes. Maybe they’re not as important as the untruths attached to Richard III, but certainly they’re the sort of thing that worm their way into history as fact. I will begin with the son that Lincoln and Margaret are supposed to have had, but who died very young. His name was Edward de la Pole, we’re told. Well, even if he had been born posthumously, I still cannot accept that it could have happened. 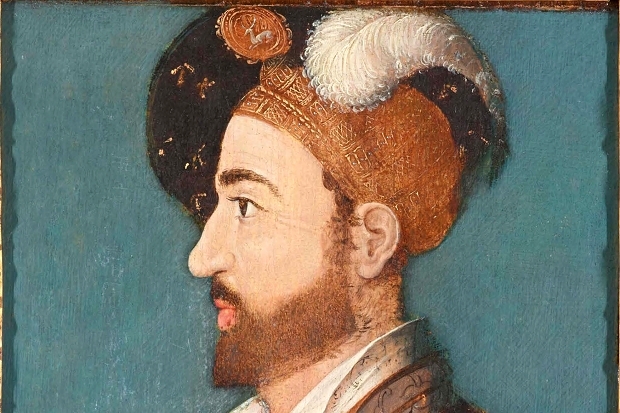 Was Lincoln no better than King John, Henry IV and Edmund Tudor? Did he bed his little bride before she was fully developed? No, I do not think so. Richard III wouldn’t have had any of that! Even if Lincoln himself was ready to do it, which I doubt very much indeed. In fact, I do not think Lincoln and his wife would have seen anything much of each other until her sexual majority, by which time Lincoln was dead at the age of 25 maximum, probably only 23. She would still have been at home with her Fitzalan family. 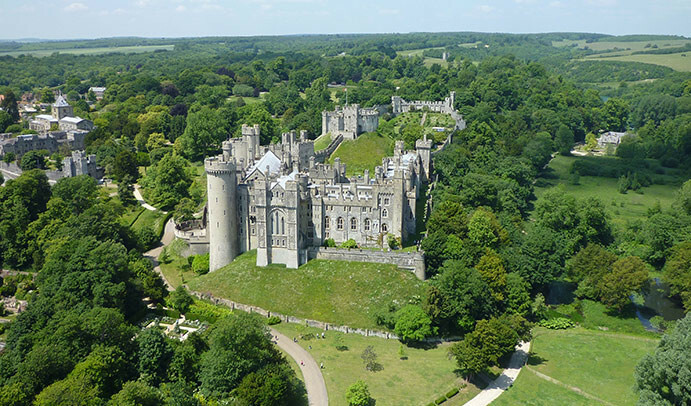 Perhaps at Arundel Castle itself. As for the suggested son, the only Edward de la Pole I can find was Lincoln’s brother, who became Archdeacon of Richmond. He lived 1466–1485, so was born nine years before Margaret Fitzalan. A non-starter. He was Lincoln’s sibling, not offspring. All of which makes the suggestion of Lincoln and Margaret having a daughter as well even less likely. The daughter was (we are told) another Margaret, who went on to marry Sir John Hardy, Senior, and had a son, John Hardy, Junior, who became Mayor of London. https://www.geni.com/people/Sir-John-Hardy-Jr-Lord-Mayor-of-London/6000000001444501215 I can’t say this site is gospel, of course. Anyway, this new Margaret is identified as the daughter of Lincoln and Margaret Fitzalan, and was (wait for it!) born in 1490. Really? Well, she might have been Margaret’s, because Margaret could indeed have lived on until 1524. But a child born in 1490 could not have been Lincoln’s because he definitely died in 1487. Another curiosity that has crept into the records is that Lincoln himself married twice, his second bride being the daughter and heir of Sir John Golafre. Again, it’s impossible. Lincoln’s first wife lived for at least six years after his demise, so how he managed to take a second bride I do not know. There’s no record of an annulment or any such thing (that I can find), nor can I trace this new bride’s Christian name, or which Sir John Golafre it could possibly be, as the last one appears to have died in 1442! This would make any daughter of his a little too old to marry Lincoln and present him with children. She would have been at least 43 in 1485, and in those days surely coming to the end of her childbearing days. This Sir John Golafre married a few times. One wife was Margaret, the daughter of Sir John Heveningham, and widow of Sir Walter de la Pole of Dernford in Sawston, Cambs. Another was Elizabeth Bruyn, the widowed cousin of Michael de la Pole, 2nd Earl of Suffolk. So there are definitely connections between the de la Poles and Golafres, but not with our Earl of Lincoln. St Mary the Virgin Church, Iffley, Oxfordshire, 15th-century stained glass of the arms of John de la Pole, 2nd Duke of Suffolk (1442–1491/2), KG. All of which makes me wonder and regret that Lincoln married Margaret. He was the son and heir of the 2nd Duke of Suffolk and Elizabeth of York (Richard’s sister), and most probably Richard’s intended heir as well, but with such a young bride, it was impossible for him to father legitimate children until she was old enough. We don’t know exactly when the marriage took place, but he was always heir to the dukedom of Suffolk, if not of Richard. Oh well, these political matches are a tangle, and presumably it was very advantageous indeed for Lincoln to be united with a daughter of the Earl of Arundel. Whatever the reason/s, it resulted in Lincoln, like Richard himself, dying without legitimate issue. Aha, but did it? Maybe all the above is wrong. There is an interesting article about Lincoln in Volume XIII (2003) of The Ricardian. It is by Wendy Moorhen, and considers the earl’s life and career in general, but also his marriage. She states that Margaret Fitzalan was indeed his wife, but makes no mention of Margaret’s youthfulness. She too mentions the great ring with a turquoise, which her father bequeathed to his daughter, Lady Lincoln, in 1524. The thing of particular significance to me, with regard to my present article, is a suggestion that Lincoln’s youngest brother, Richard de la Pole, was in fact his son. The concealing of this fact was due, it is suggested to protect an infant or posthumous son of an attainted traitor. It would seem that Richard’s career tends to give credence to this tale. It would also raise the question about the mysterious son Edward, some sources claim was born to Lincoln and Margaret, but who died young. Perhaps he didn’t die at all, but merely had his name changed. He was born in 1480, as far as I can discover, which means when Lincoln himself was somewhere between 14 and 16, depending on whether his year of birth was 1462 or 1464. This means that Margaret Fitzalan was only around five – totally ridiculous, of course. So if Richard de la Pole was Lincoln’s son, he was surely born on the wrong side of the blanket. Yet Richard was to lay claim to the dukedom of Suffolk, become known as the White Rose, and be fêted by Louis XII as the king of England. This, in spite of older brothers still alive. This could be explained if he was indeed Lincoln’s son, and therefore of the senior line. But if he was illegitimate. . .? The French would enjoy mischief-making, of course, yet there was a very strong suggestion about Richard de la Pole’s true lineage being through the Earl of Lincoln, and therefore one generation removed from the 2nd Duke of Suffolk,. But there is cause to wonder if Margaret Fitzalan wasn’t a mere five but 14 in 1480, when Richard de la Pole was born. It is possible. 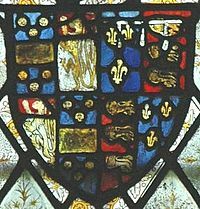 The 17th Earl of Arundel’s marriage to Margaret Woodville took place “shortly before 17th February 1466″, which means that the earliest a child could have been born to them was around November of that year. The earl’s successor, the 18th earl, was born in 1476. Apart from him and Margaret Fitzalan, there were another brother and sister, Edward and Joan, whose dates of birth I have not been able to ascertain. If Margaret was that first child, born around November 1466, she would of course, have been old enough to consummate her marriage to Lincoln, and bear him children. But the earlier date of 1475 seems fairly fixed in place for her. Had she been 21 or so at the time of Lincoln’s death at East Stoke, everything would change of course. She might indeed have given birth to Richard de la Pole, who would thus be legitimate. There are so many mysteries surrounding the enigmatic Earl of Lincoln, who has left a tantalisingly brief trail through his short period of history. Brief, but filled with intriguing questions about his marriage and possible offspring. St Edmund, the king under a tennis court…? “November 20 is St Edmund’s Day, the feast day of the ‘last king of East Anglia’ and – some would say – England’s proper patron saint. But where do his bones lie? Trevor Heaton explores the twists and turns of a centuries-old mystery…” Is he under a tennis court? Read on for another take on Edmund the Martyr, who was almost certainly not a Wuffing.